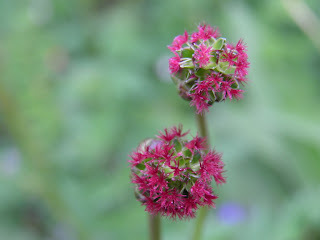 I recently came across a Salad Burnet (Sanguisorba minor) plant and decided to take a closer look at this easy to miss herb. A member of the rose family it has characteristic globular heads that look red-purplish from a distance, like miniature botanical disco balls. But look closer and then closer still (you may need a x10 hand lens) and you will may notice that there are no petals and the striking colour is actually from feathery structures, the stigmas. These are the female flowers. The more subdued male flowers have long stamens replacing the colourful stigmas. Salad Burnet leaves has long been used as an ingredient in salads, where their slightly bitter taste has a distinct cucumber aroma. Apparently Sir Francis bacon recommended it in the herb garden, whilst Napoleon enjoyed it whilst in exile on St Helena (Mabey, 2007). More recent scientific investigation has however found it to have potentially valuable health benefits. It has long been known that cardiovascular disease is low in Mediterranean areas where plant foods rich in antioxidants make up a considerable portion of the diet, often through the seasonal harvesting of wild plants. Did Napoleon just have a ‘gut’ feeling about this! 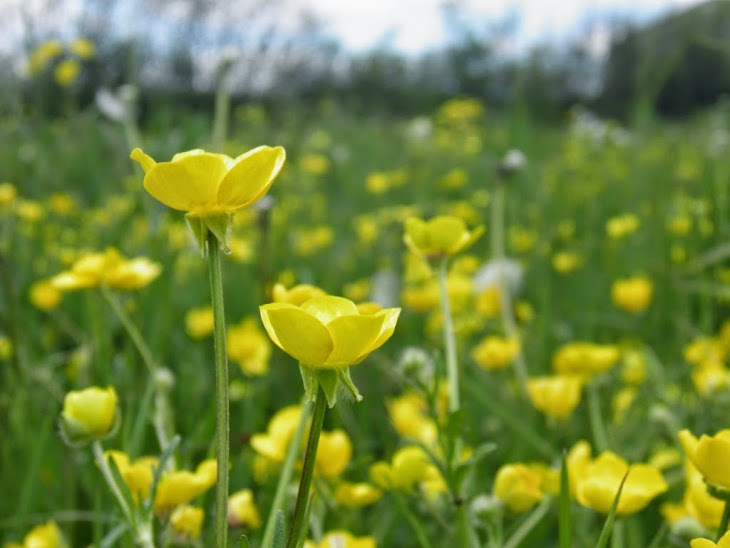 My wife’s Father and family from the Italian deep south frequently collected wild herbs to supplement their diet, such as wild rocket and dandelion, often through necessity rather than choice. This has been backed up in some recent research by Vanzani, P., Rossetto, M. De Marco, V., et al. (2011), where wild Mediterranean plants used as traditional food were analysed for their antioxidant properties. They were compared against wild and cultivated chicory and blueberry, representing vegetables and fruit amongst the richest in antioxidants ( the “reference plants”) . They found that the antioxidant power of Salad Burnet was “remarkably higher than those of reference plants”. Little did my wife’s Italian family know that driven by poverty they were forced into some healthy eating options. So maybe I should start selling Mediterranean medicinal herb bags as a cheap alternative to heart drugs and operations.